Achieve an energy-efficient building with our insulated, airtight timber frames – capable of meeting and even exceeding the rigorous Passivhaus standard. Your frame will be custom made for you to the exact specifications of your architectural plans, using the highest-performing airtightness materials. A typical two-storey frame is erected on site in just a few days, giving you a weatherproof, airtight core built to stand the test of time. As your partner in your build, we understand what you’re trying to achieve. We’ve been constructing highly energy-efficient buildings for many years, because it’s what we believe in. We take an artisan approach to every project, with several of our homes achieving Passivhaus certification – attesting to the quality of our materials and workmanship. We’re proud that the first certified Passivhaus in Cumbria has our frame at its heart. One of our most recent Passivhaus projects achieved an airtightness result that was the second highest ever recorded in the UK. My experience covers over 35 years in the building industry and during the supply and erection of the Passivhaus at Ferndown, I have to say it was one of the most enjoyable building experiences I have had watching your company erect the kit. You asked me some questions on the Monday morning and that was the last time I was asked any questions. Your squad of 6 joiners were probably one of the best squads I again have had in a long time…. To summarise Eden Insulation, would I use them again, definitely yes. Find out whether our timber-panel frames are right for your build, and learn more about how a timber frame fits in with your overall build. Find out more about our timber frames – how we make them, the materials we use, quality assurance and meet our team. See examples of the Passivhaus and other energy-efficient homes and buildings we’ve constructed in the past. 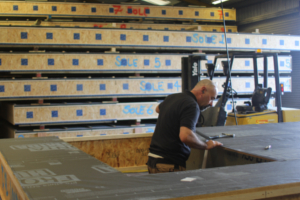 Eden Insulation Ltd were selected from a number of potential contractors to supply and erect the factory-made insulated panels. Their selection was based on their commitment to quality, the high quality of their timber kit and their experience in building their timber frames to the very high-quality standard required to meet the Passivhaus standard. 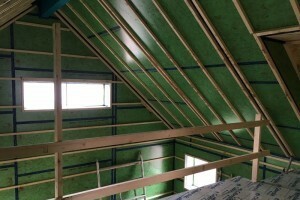 Eden Insulation’s commitment to quality, as well as their technical competence has also been evident throughout this challenging project including in the design preparation stage, support for the client and in their conduct and efficiency on site, which has been exemplary. 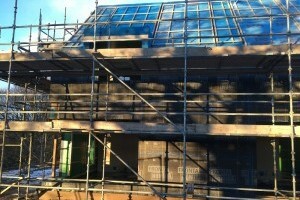 It has been a delight to work with Eden Insulation Ltd and would certainly wish to work with them in the future.